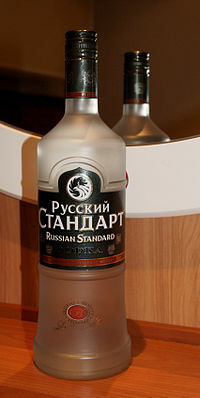 Roust Incorporated and Russian Standard Intellectual Property Holding A.G. attempted to file the English term ‘Russian Standard’ and the equivalent Russian term ‘Русский Стандарт’ as registered trademarks in seven categories. In September 2013, Ms Jacqueline Bracha refused to allow the marks to be registered. See here. Application numbers 227464 and 227465 in class 33 for alcoholic drinks were not allowed to the existence of identical marks to the second applicant only. The other marks were rejected as lacking minimal distinctiveness. Applicants appealed to the Tel Aviv District Court in 13652-10-13. The District Court addressed two issues. Firstly, could registration of a mark to one applicant in and of itself prevent registration of an identical mark to that applicant together with a second party? Secondly, was Russian Standard a mark able to indicate a specific supplier, or was it simply generic? The Court suggested that a third legal entity be created and that the registered and the new marks be assigned to that entity. The applicants set up this legal entity, assigned the pending and the issued marks and the pending cases were referred back to the patent office to rule on their merits. The Deputy Commissioner surmised that the Court had apparently considered that this would solve the double registration issue and the patent office could then examine the marks on their merit. Ms Bracha noted that although the assignment had yet to be registered so the present ruling is based on the assignment being registered. She went on to rule that the marks in Class 33 (alcoholic beverages) lacked distinctiveness. However, as to the other classes, Section 16 allows marks having minimal distinctiveness to be registered based on corresponding foreign registrations. Once the marks were assigned to a common party, section 16 could thus be invoked. What was important was that customers could identify the source of the goods, not that the mark owner. The Applicant claimed that the Court had intentionally not related to the double registration issue implicitly out of respect to the patent office decision, and in the circumstances, without the court forbidding it, the marks could be registered. Ms Bracha considered that the marks were returned to her to reconsider. She was willing to allow registration of the marks in other classes based on the foreign registration, but as far as class 33 was concerned, she upheld her decision that Russian standard is laudatory and the marks cannot be registered.